Mass Moments is a daily almanac of Massachusetts history, launched in 2005. Currently there are 366 stories to explore. Beyond enjoying the website, you may subscribe to receive an email of the moment of the day and become a fan of our Mass Moments facebook page enjoying daily moments on your own feed. The site is a project of Mass Humanities, whose mission is to support programs that use history, literature, philosophy, and the other humanities disciplines to enhance and improve civic life throughout the Commonwealth. The We the People Initiative at the National Endowment for the Humanities provided seed funding for Mass Moments. Mass Humanities receives support from the National Endowment for the Humanities, the Massachusetts Cultural Council as well as private sources like you. The Mass Moments website was redesigned and redeveloped by Rhyme Digital, LLC in 2017. The Mass Moments spots were read by Jack Clancy, a veteran actor with 20 years experience doing voice over work. The engineer was Alan Sahatijan. The spots were recorded and mixed at Burclan Studios in Watertown, MA. 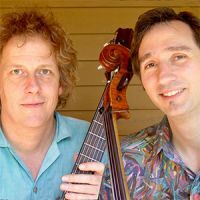 The Mass Moments theme is "All Hail to Massachusetts," written by Arthur Marsh, with arrangement and performance by Broque—Gideon Freudmann, cello, and Mark Herschler, guitar. Download and listen to the entire Mass Moments theme.